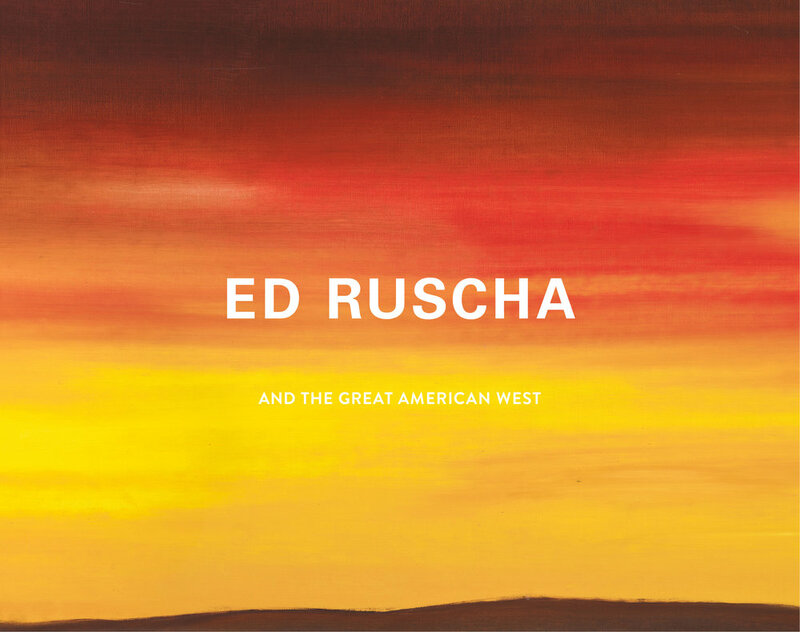 The renowned artist Ed Ruscha was born in Nebraska, grew up in Oklahoma, and has lived and worked in Southern California since the late 1950s. 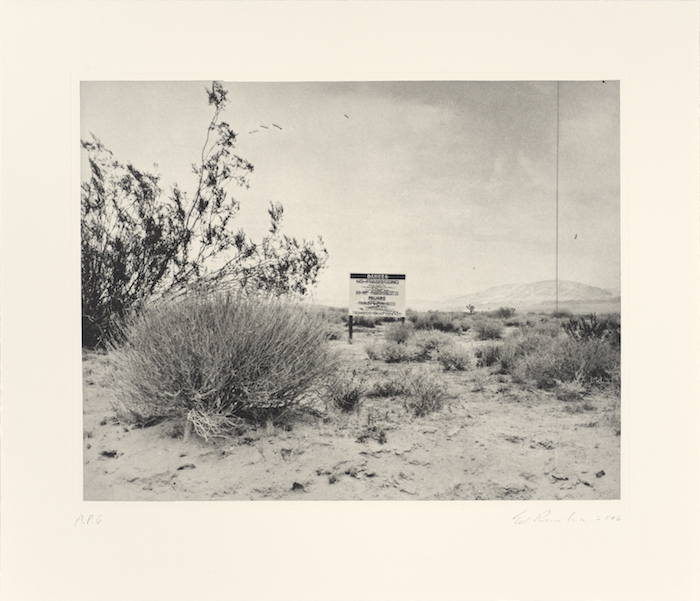 Beginning in 1956, road trips across the American Southwest furnished a conceptual trove of themes and motifs that he mined throughout his career. 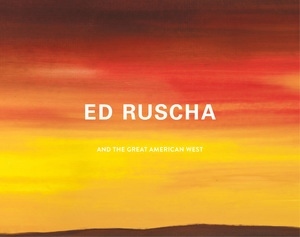 The everyday landscapes of the West, especially as experienced from the automobile—gas stations, billboards, building facades, parking lots, and long stretches of roadway—are the primary motifs of his often deadpan and instantly recognizable paintings and works on paper, as well as his influential artist books such as Twentysix Gasoline Stations and All the Buildings on the Sunset Strip. His iconic word images—declaring Adios, Rodeo, Wheels over Indian Trails, and Honey . . . I Twisted through More Damn Traffic to Get Here—further underscore a contemporary Western sensibility. 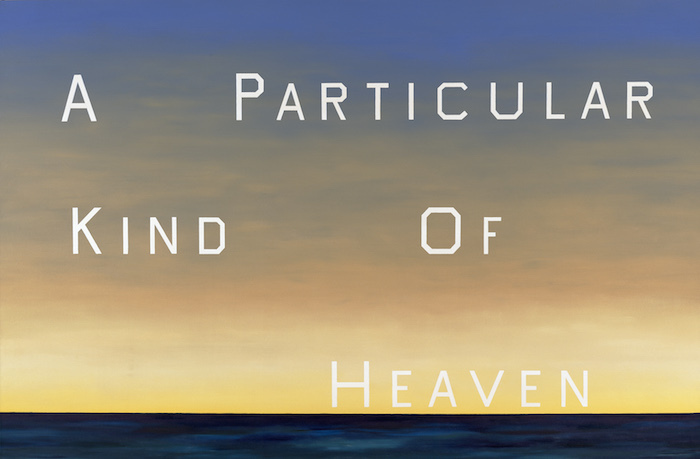 Ruscha’s interest in what the real West has become—and Hollywood’s version of it—plays out across his oeuvre. The cinematic sources of his subject matter can be seen in his silhouette pictures, which often appear to be grainy stills from old Hollywood movies. 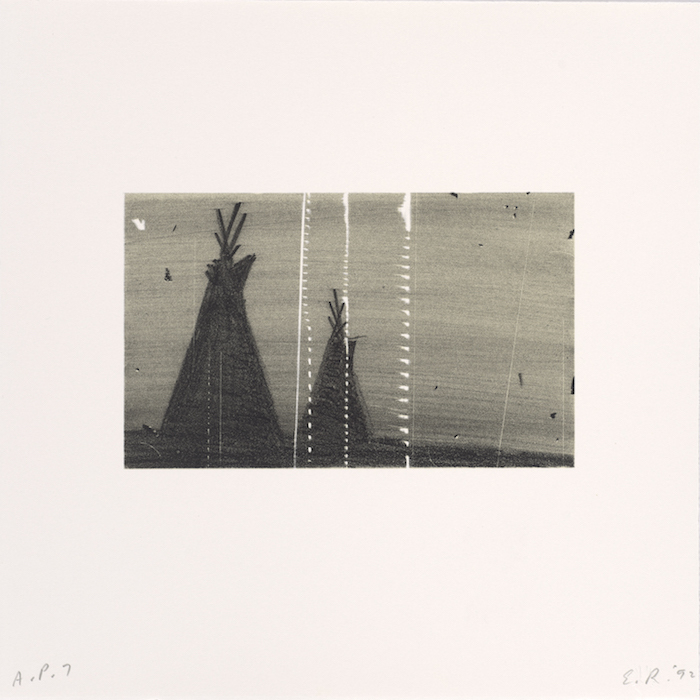 They feature images of the contemporary West, such as parking lots and swimming pools, but also of its historical past: covered wagons, buffalo, teepees, and howling coyotes. Featuring essays by Karin Breuer and D.J. Waldie, plus a fascinating interview with the artist conducted by Kerry Brougher, this stunning catalogue, produced in close collaboration with the Ruscha studio, offers the first full exploration of the painter’s lifelong fascination with the romantic concept and modern reality of the evolving American West. Karin Breuer is curator in charge of the Achenbach Foundation for Graphic Arts at the Fine Arts Museums of San Francisco. Her publications include Japanesque: The Japanese Print in the Era of Impressionism, Thirty-Six Views of the Eiffel Tower, An American Focus: The Anderson Graphic Arts Collection, and Thirty-Five Years at Crown Point Press: Making Prints, Doing Art. 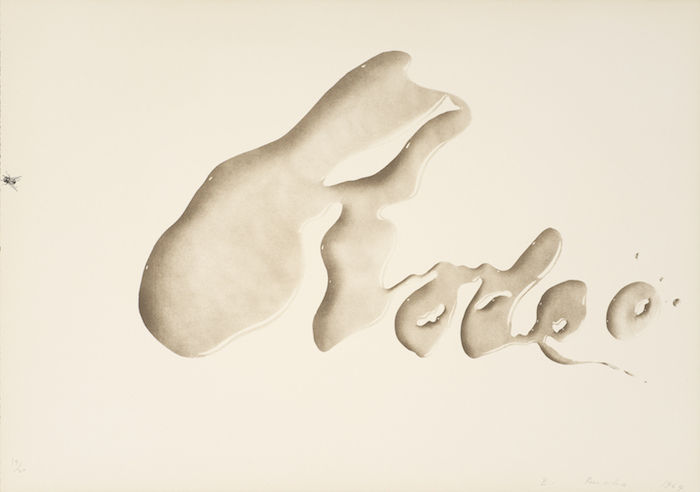 Photogravure, 21 ¼ x 24 ¾ in. Oil on canvas, 90 x 136 1/2 in. 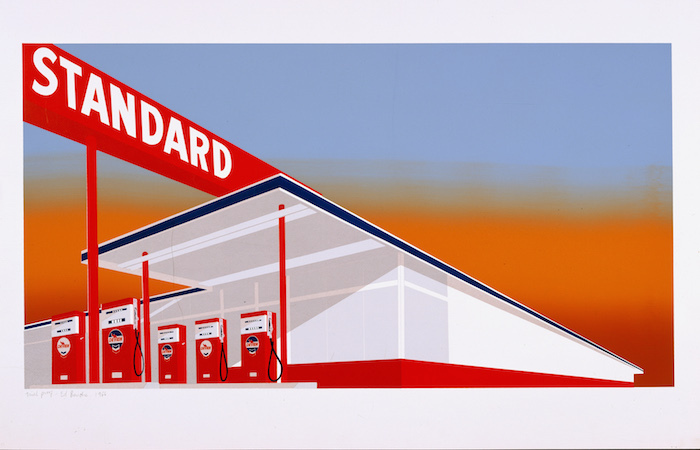 Color screenprint, 17 ½ x 44 7/16 in. Color lithograph, 17 x 24 in. Color screenprint, 25 5/8 x 40 in. Color lithograph, 12 1/16 x 12 1/16 in.